I will back on the road in July leading up to my full European tour which starts in September. My European tour is my biggest tour to date. Including gigs in Germany, Netherlands, France, Austria, Switzerland and the UK. I will be touring both solo and with a band. 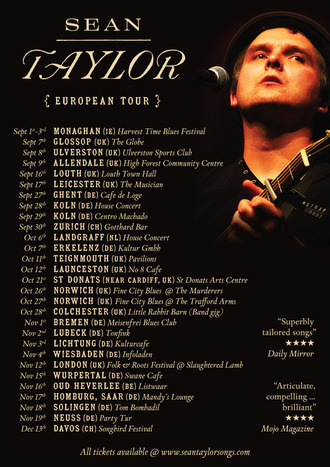 My autumn Eureopean tour has been amazing with shows in Netherlands, Germany, Eire & the UK.